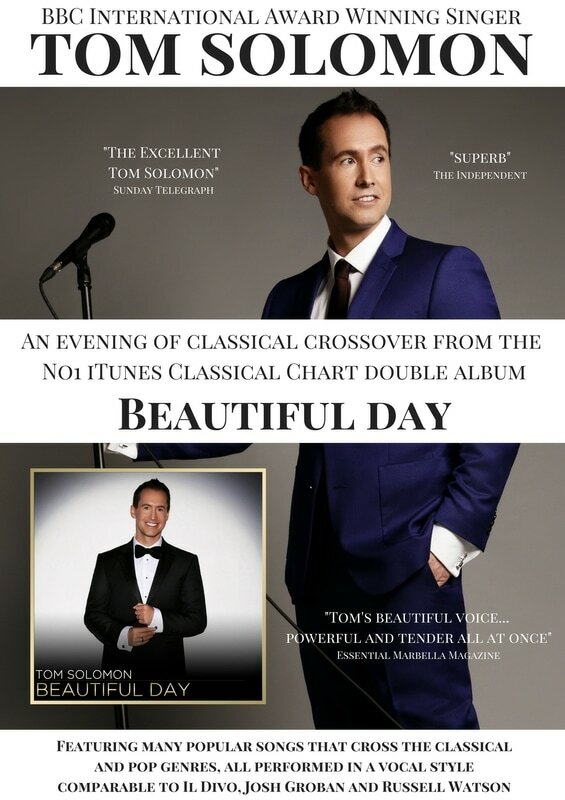 The "Tom Solomon - Beautiful Day" Classical Crossover show can be specifically tailored to your needs to suit any venue or occasion. The show is fully self-contained and can either be booked including a high quality PA system and high quality bespoke backing tracks or with charts for up to a 9 piece band and click tracks. Playing times can be adjusted to suit your event with a maximum of 2 x 50 minutes sets.